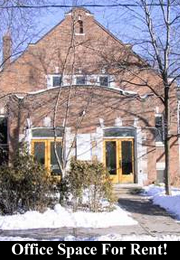 For a private meeting room, book The Vault at Green Beanery. Located at the corner of Bloor and Bathurst in the former TD Bank building, The Vault is not only super secure, it has amenities that can’t be beat, including nearby executive offices that can be rented by the hour, day or week, and the superb offerings of the Green Beanery coffee shop, just beyond the Vault’s combination door. 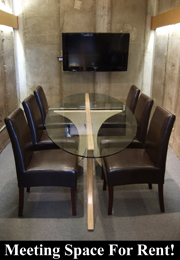 The Vault now offers comfortable seating for six around a sleek meeting table (more can be squeezed in). Fax and photocopying facilities are also available. 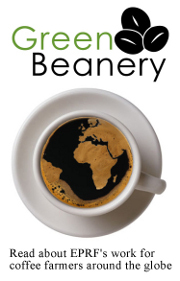 If you wish refreshments through the day, or to work through lunch, the Green Beanery staff will be pleased to provide personalized food service. A computer with a large screen for your Power Point or other presentations.